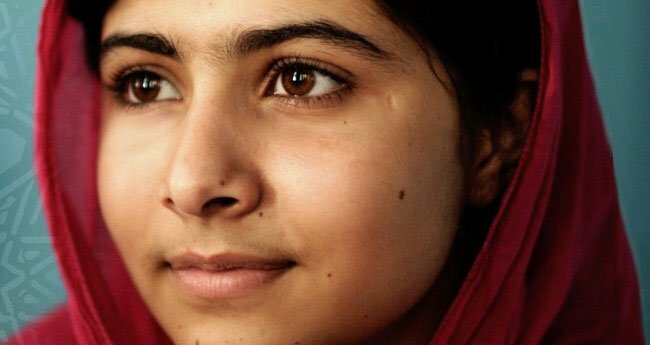 Over the past few weeks, what with the Nobel hoopla and all, everyone has had something to say or write about Malala Yousafzai. The politicians propagated their own agenda, liberal fascists whined about their cause and journalists used the issue to put forward their personal agendas through the debate surrounding the teenager. Some writers wrote satires that were taken seriously, others wrote serious pieces that weren’t taken seriously and then there were the white man’s burden, brown man’s burden and burdens that came in other colours, being discussed in articles that tried to complicate a debate that has been pretty simple all along. Now, as I write this piece, what I intend to do is give you a completely straightforward perspective, one that you will not find in any other article written about Malala. I have no issue being dubbed a misogynist, fundamentalist, jihadist or a conspiracy theory leech, for I have no qualms in admitting that I undoubtedly am all of those things. And so I shall tell you why I hate Malala sans any inkling of pretention: the absolutely honest and truthful perspective of a true Pakistani. How much a Pakistani hates someone depends on how easy it is to hate them. And few individuals are easier to hate than Malala Yousafzai. Here’s a girl, not old enough to have an ID card, taking on Pakistan’s biggest enemy without an iota of fear. She takes a bullet to her head not fighting for a jingoistic agenda, but for something as universally celebrated as education. For her commendable bravery she gets global acclaim, speaks in front of a global audience at the UN, meets the American president and is pretty much the only positive coming out of this country in recent times. It seems to be more a tale of inspiration than a recipe for hatred. So, let’s flip the coin. Here’s a girl, not old enough to have an ID card, siding with Pakistan’s biggest enemy to defame the nation without an iota of shame. She pretends to take a bullet to her head helping the West propagate their jingoistic agenda under the garb of something as universally celebrated as education. For her commendable theatrics she gets global acclaim, gets the chance to speak in front of a global audience at the UN, meets the American president and gets to act like the only positive thing coming out of this country in recent times. Which side of the coin is easier to believe? Easier, not in terms of being more logical or making more sense, which argument out of the two is easier to digest for an average Pakistani like me? Do you think it’s easy for me to accept flag bearers of my religion as my enemy? Do you believe that it’s easy for me to accept the fact that a 16-year-old girl fearlessly took a stand against the biggest threat facing this country while men like me were busy being apologetic on the behalf of the “freedom fighters”? Do you honestly believe that it’s easy for me to accept that a young girl from our neck of the woods, with all the societal handicaps that one can think of, can singlehandedly orchestrate a global rude awakening? The thought rips the bigoted, discriminatory and misogynistic ideals that I’ve grown up with, into tiny little shreds. How can I accept Malala to be a hero, when her speeches do not have any Islamic or nationalistic agenda? How can I consider her to be my future leader when nothing she says or does imbues a false sense of superiority in me as a Muslim or a Pakistani? How can I accept that a young girl was able to highlight who our actual enemies are, when grown up men in our parliaments are still hell bent on befriending them? How can I rejoice at Malala’s global achievement when I’ve been taught all my life that a girl’s place is in the kitchen? I just can’t. The religion I follow is inherently misogynistic. The society I live in is quintessentially patriarchal. And I’m supposed to manifest ideals of gender equality and women empowerment out of the blue? Why do you think we consider it a million times easier to call Aafia Siddiqui the daughter of Pakistan than Malala Yousafzai? With Aafia there’s a sense of victimhood, with jihad as the cherry on top. That’s what we’d like in our daughters: fragility, vulnerability and the perpetual dependence on one of the male guardians in her life. And so please answer this: who is easier for me to consider this nation’s daughter, one who I can ostensibly protect from the conspiring agenda of nonbelievers or one that is seen hobnobbing with the nonbelievers? Give me the name of one female who we have taken seriously as our global representative? Benazir Bhutto? But she was always Zulfiqar Ali Bhutto’s daughter, wasn’t she? How do we trace the illustrious male DNA to justify Malala’s accomplishments? Do you still not see why instead of going through the hassle of an ideological metamorphosis and purging myself of the ideals I’ve spent all my life with, it’s a million times more convenient to just buy the conspiracy theories? I hate Malala because it’s by far the most convenient choice. I hate Malala because then I don’t have to look at myself in the mirror. I hate Malala because then I can keep my head buried in the sand. I hate Malala because then marrying my daughter off would be my sole responsibility towards her. I hate Malala because then I don’t have to regret all those times my mother fed me with her own hands while my sister was busy washing the dishes. I hate Malala because it helps me sleep peacefully, with my sense of superiority very much intact. Kunwar Khuldune Shahid is a Lahore-based Financial Journalist and Cultural Critic. He can be reached via Twitter @khuldune. This article was first published in Viewpoint Online. Reprinted with author’s permission.